In 20 years of military service, Arvin Combs has seen plenty of action. And he has seen plenty of gym time too. He&apos;s a natural bodybuilder and he&apos;s been at it for 20 solid years. 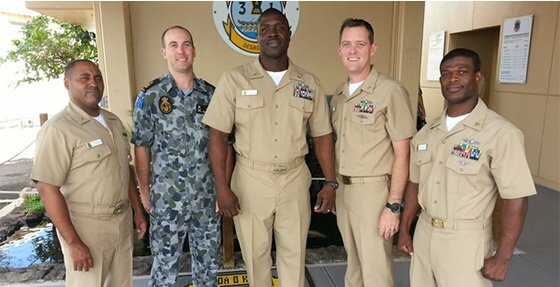 He&apos;s a fitness leader, too, setting a long-term example for younger sailors in his unit. His role as a SONAR technician helps the Navy identify submersibles moving underwater, a vital position in the modern age. A smart military is a strong one, and it starts with the bodies of every man and woman in uniform. They train smart and hard so they can protect their brothers and sisters and everyone in their charge. I started bodybuilding one year after knee surgery for two reasons: to give me a reason to get my legs strong again, and to give myself something to strive for in weight training. To do something positive and set myself up for an early retirement. I was 19, not really doing anything positive, and I was overweight. I knew the military had to bring me something positive and after 20 years of service Uncle Sam would pay me every month. My parents didn&apos;t have money to put me through college and I didn&apos;t have the grades for a scholarship. Actually, it is physical training (PT). I always played sports, but military PT was different. In fact, I barely passed Army Boot Camp because of my PT scores. SONAR Technicians are unique. We are operators and maintainers. Additionally, as we progress in our career we have to learn tactics of fighting anti-submarine warfare. My tour in Okinawa changed how I look at fitness the most. My ex-wife had joined the Air Force and we were suppose to be separated for almost a year. I started martial arts, taking college, and working out. I wanted to do something positive and surprise her by being ripped when I saw her again. Even though it didn&apos;t work out that was the beginning of how my fitness level changed. Probably auto body and car audio installer. Since I&apos;ve been in two different services I can honestly say not a whole lot. They all do body composition assessments and a physical readiness test. In the Army we had to run 2 miles instead of 1.5 miles. What&apos;s half a mile? Arvin&apos;s experience in both the Navy and the Army give him unique insight that few service members will ever experience. This career man has given his life to service. It&apos;s tough to deal with being away from family and rejoining them after months of separation. People can change after seven months. So-so. My fitness goals do not focus around the military. My fitness goals more than prepare me for a PT test, so I normally do well unless I&apos;m bulking. Time in the gym is time away from home. So imagine doing a seven-month deployment, coming home for a couple days, and then telling your spouse you&apos;re off to the gym. Hopefully he or she works out with you or understands it is part of your life. Do you think it&apos;s more or less difficult for military men to stay in shape than civilian men? It is less difficult. We&apos;re required to be tested twice each year. For some military men and women that&apos;s enough to keep them active. If they weren&apos;t being tested they may not do any physical activity. It doesn&apos;t. Race, gender, and religion don&apos;t matter to me. As long as we respect each other and can achieve the mission at hand, it&apos;s all good. Normally, I&apos;m the Command Fitness Leader (CFL) or seen as a leader in PT. The CFL administers, tracks, and remediates people who fail the semiannual PT Test. So it brings me more responsibility and respect. Is it hard to stay focused on training and career objectives while stationed in an island paradise like Hawaii? No, not really. There are a lot of military members and they are generally healthy. Since it is warm year-round, people want the beach body. I&apos;m just trying to keep up. I change my workout up from time to time but this plan seemed to work well for me. It&apos;s a modified Arnold workout plan. This plan is based on a leaning down diet. I do cardio first thing in the morning on an empty stomach from 0500-0600. To be the next Mr. Natty O! What did it mean to you to earn your pro card? Do you want more? Earning my pro card was exciting. It&apos;s not as prestigious as being pro for NPC or IFBB, but I&apos;m proud. It&apos;s nice to say I&apos;m a pro even if it&apos;s the natural competition. 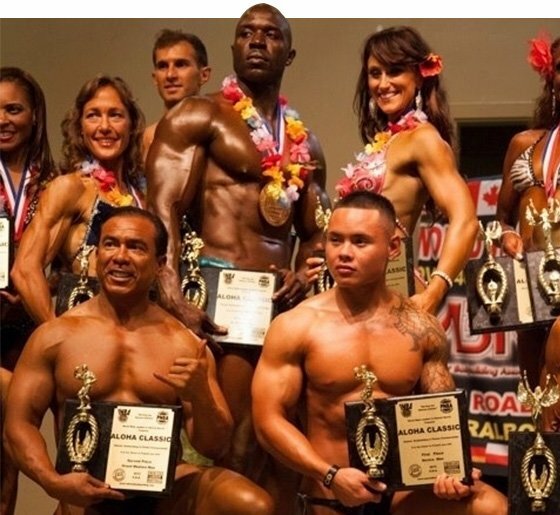 Natural shows do not get as much publicity as the other leagues. Of course, I want more! 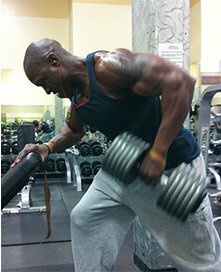 I want to win the Natural Olympia and be the guy people search for on YouTube. Maybe I&apos;ll go viral. Bodybuilding serves as more than a physical hobby for Arvin. He aspires to take his physique to the highest stages of competition. As a senior enlisted person at almost 40 years old, it helps me as a leader and with aging. My junior sailors can look at me and see a culture of fitness. Plus I never have to "get ready" for a PT test; I stay ready. I can do a military PT test everyday and still do my workouts. I have two really: Jim Cordova and Toney Freeman. Jim Cordova because for a natural guy his muscles look full and his symmetry is outstanding. Toney Freeman because he&apos;s the only other bodybuilder I know who is 6-foot-2, and he&apos;s in his 40s. If I could get his size and symmetry I would wreak havoc in any competition. Everywhere you go take your supplements and workout clothes with you. You never know what type of workout facility you&apos;ll run into. It&apos;s easier to stay ready than it is to get ready.